The cleanCELL is a highly efficient production cell with modular automation technology. The laser-safe machine permits highly precise and reproducible component surface processing. The solid steel frame construction keeps the cleanCELL on track undeterred even at a high dynamic. 1,500 x 700 mm – can be processed. The generous front doors permit comfortable loading of complete workpiece carriers. 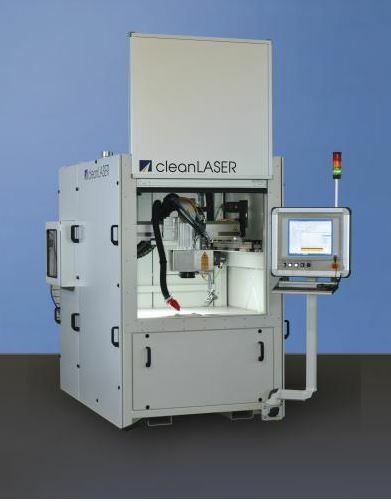 cleanLASER Workstations can be automated for precise processing repeatability.